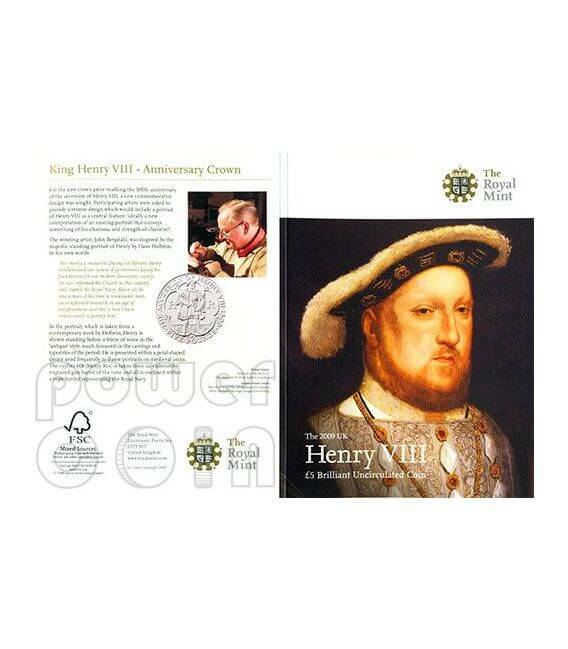 In 1509 Henry VIII acceded to the throne of England. 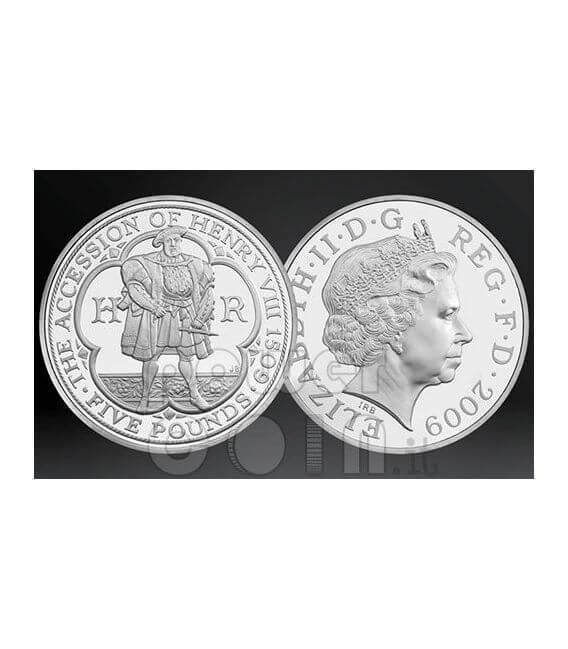 To celebrate the 500th anniversary of the accession of one of the most famous of kings the Royal Mint has produced a £5 coin featuring a classic portrait of the Tudor monarch. 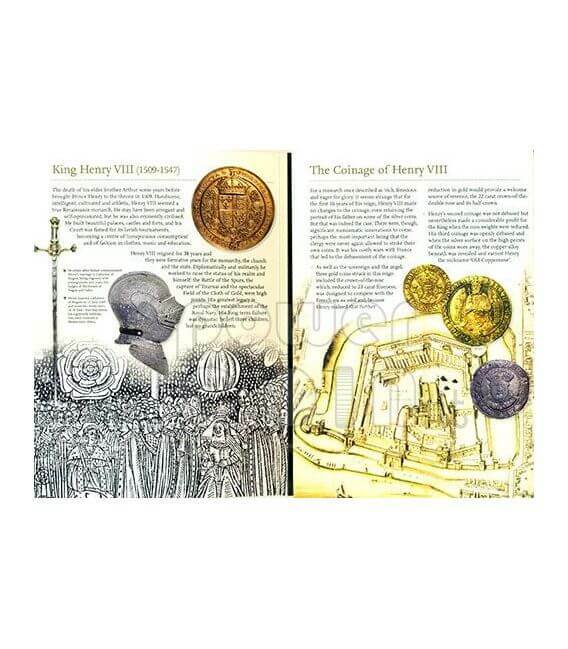 Henry VIII reigned for almost four decades and they were formative years for the monarchy, the church and the state. 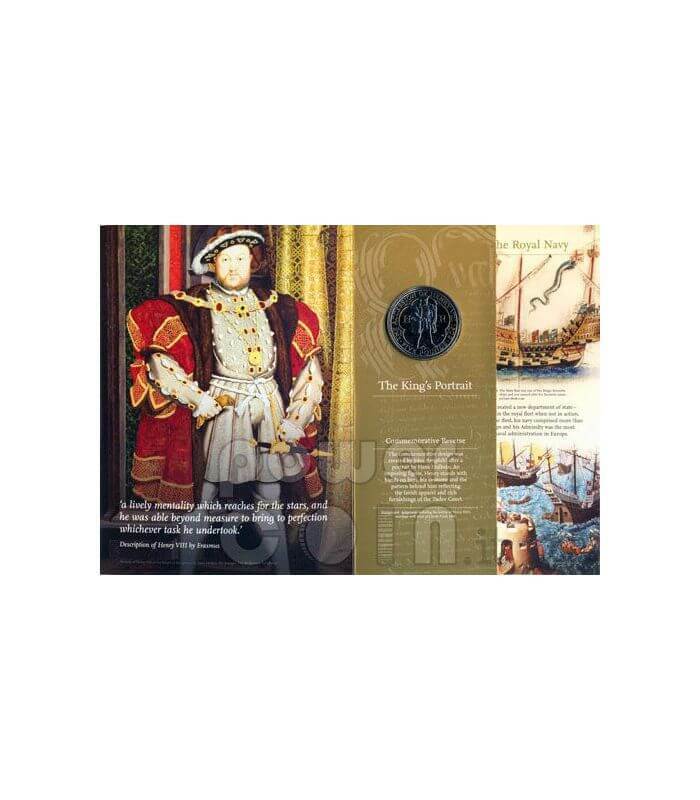 His greatest legacy is perhaps the establishment of the Royal Navy. 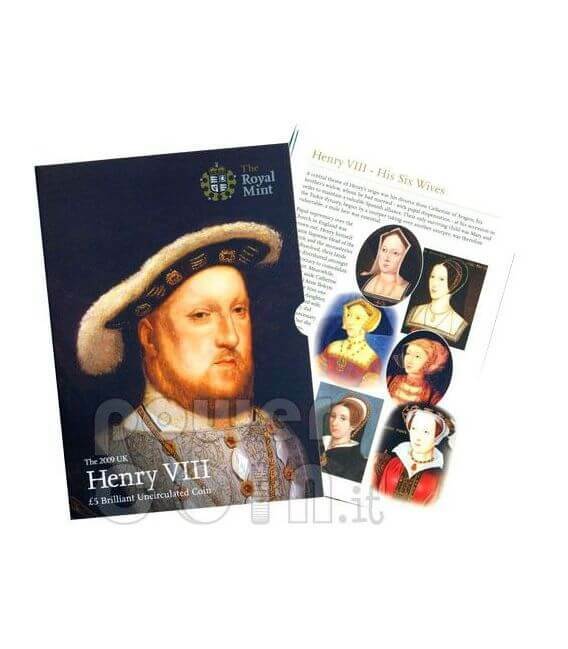 His long-term failure was dynastic: he left three children, but no grandchildren. 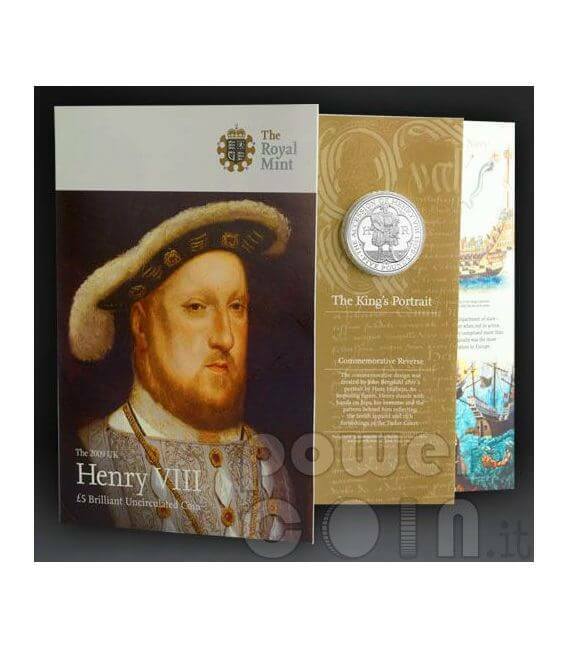 This crown piece marks the 500th anniversary of the accession of Henry VIII: its new reverse design was created by John Bergdahl who was inspired by the majestic standing portrait of Henry by Hans Holbein. 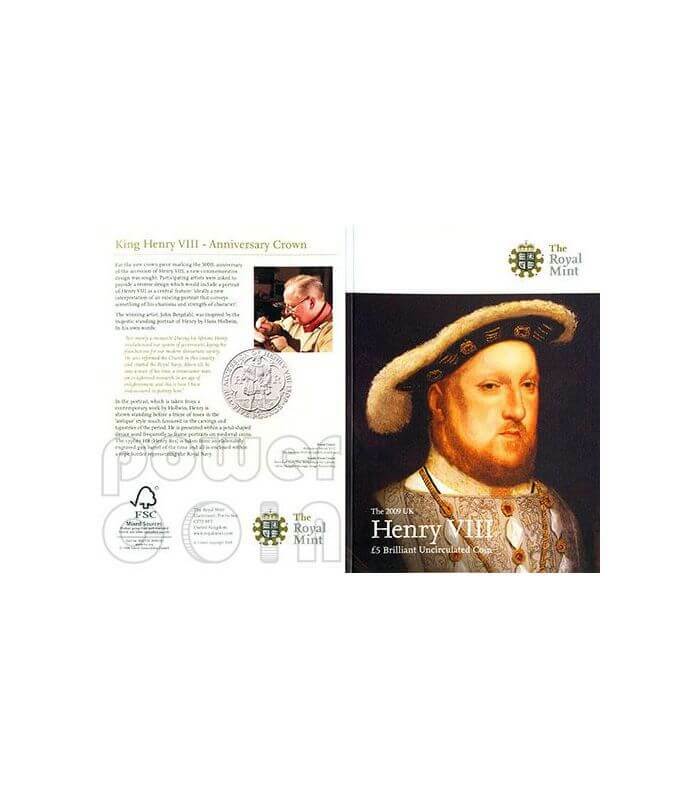 In the portrait, which is taken from a contemporary work by Holbein, Henry is shown standing before a frieze of roses in the 'antique' style much favoured in the carvings and tapestries of the period. 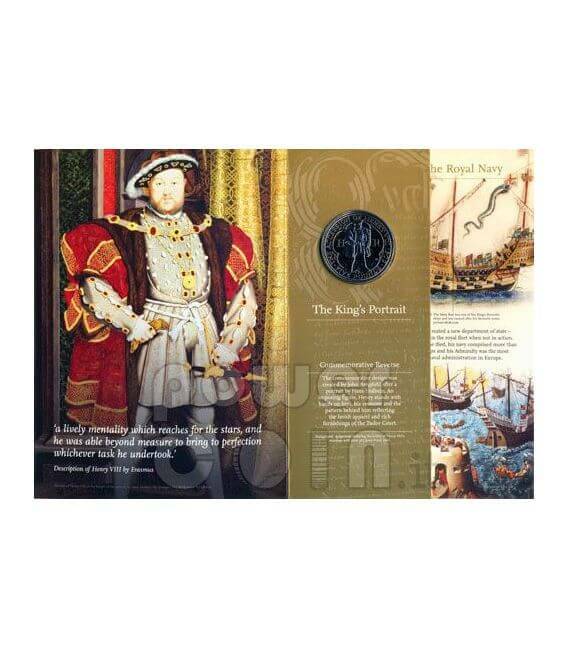 He is presented within a petal-shaped device used frequently to frame portraits on medieval coins. 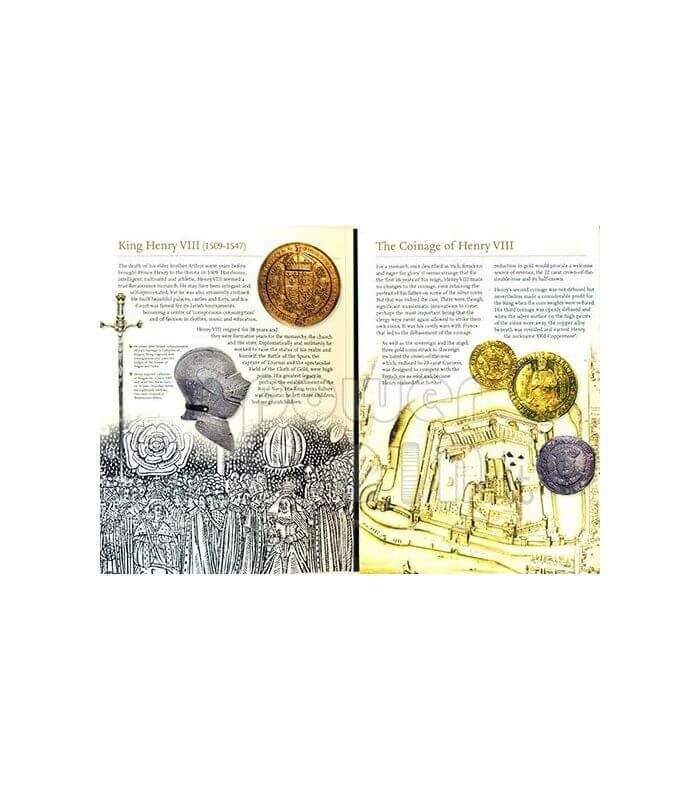 The cipher HR (Henry Rex) is taken from an elaborately engraved gun barrel of the time and all is enclosed within a rope border representing the Royal Navy. 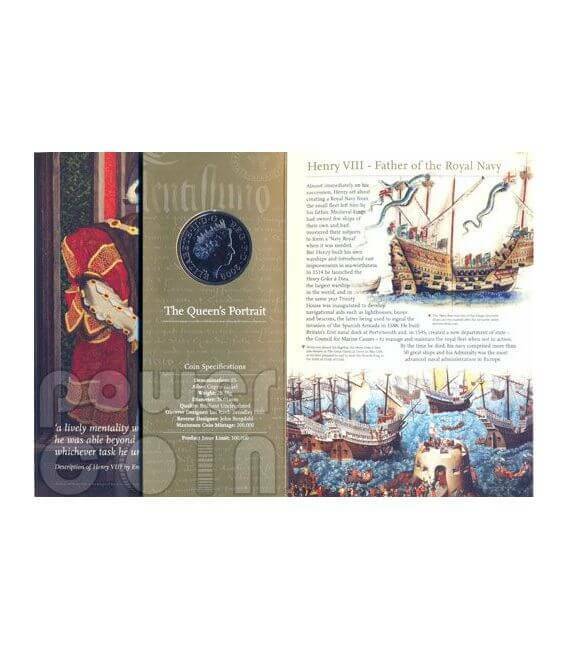 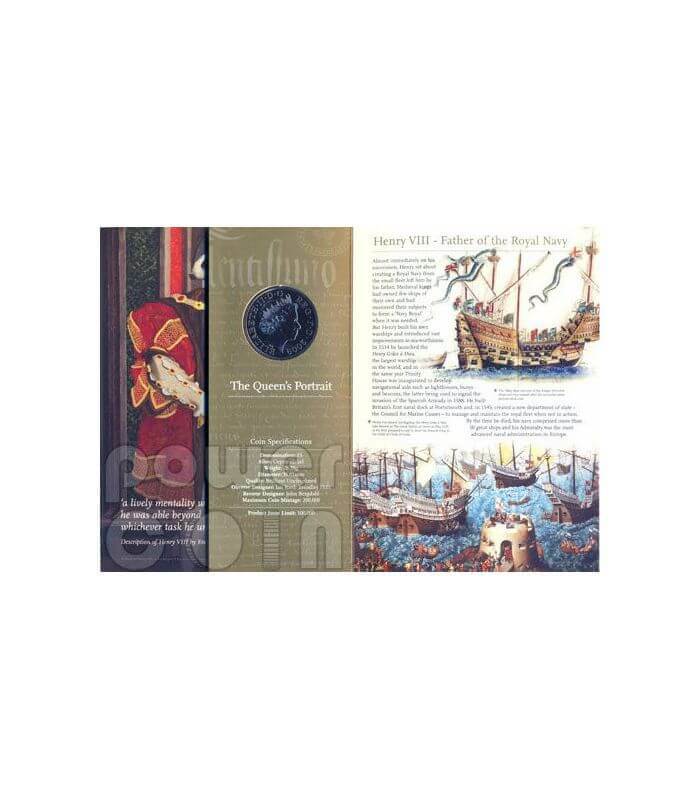 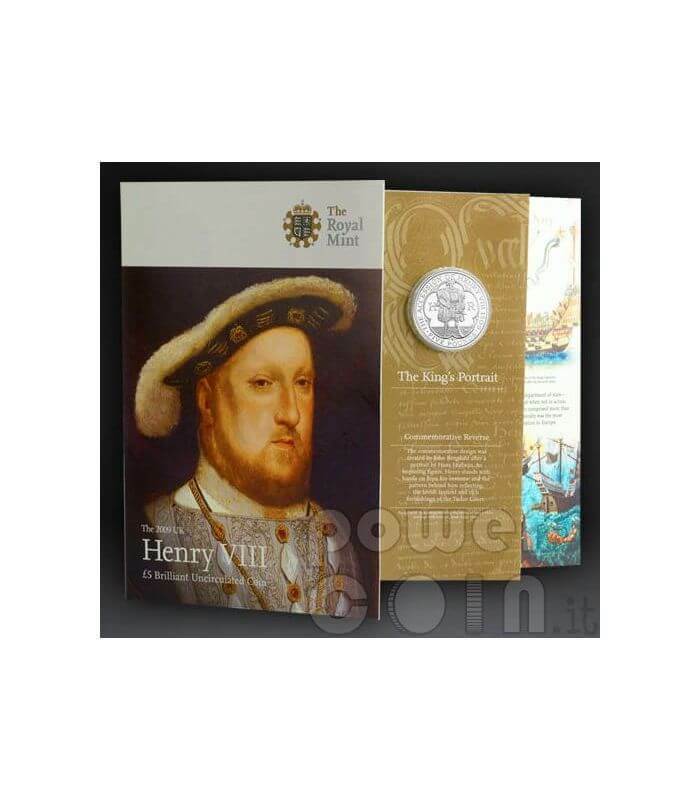 The £5 coin, featuring a classic full-length portrait of Henry VIII, is housed in an informative and colourful presentation folder. 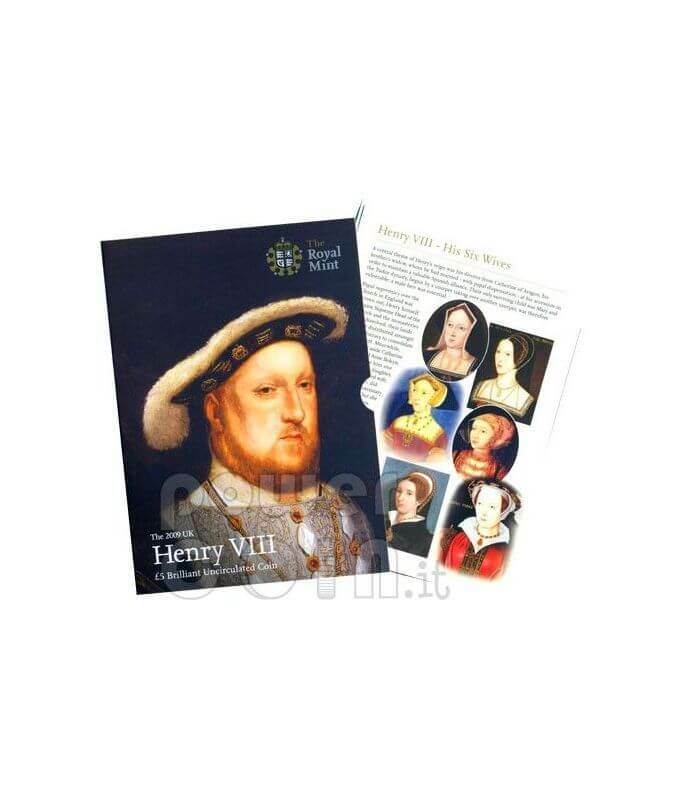 The folder is accompanied by a protective slipcase and protector card to ensure that the product can be stored safely. 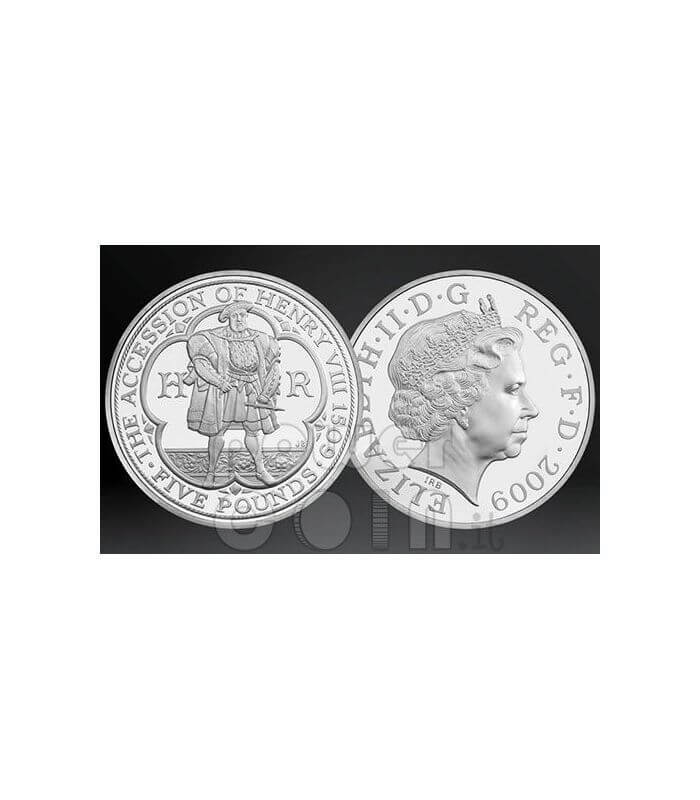 The obverse depicts the portrait of the Queen Elizabeth II.